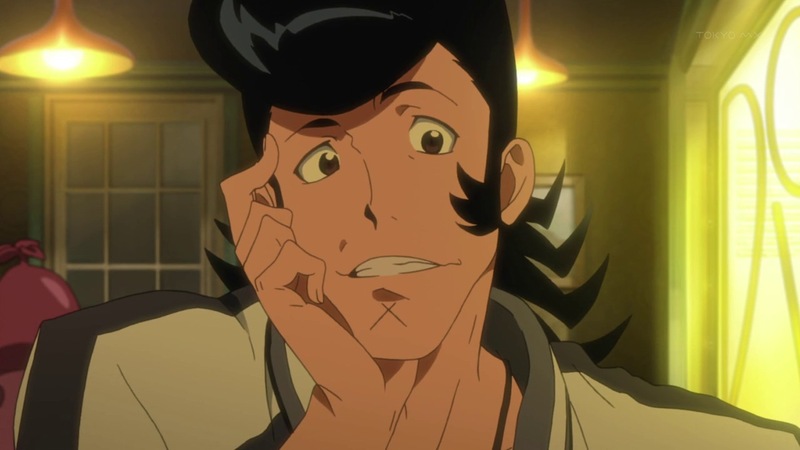 Space Dandy is a dandy guy… in space. Along with his outdated robot partner QT, he spends his time hunting for unregistered aliens. If they find one and take it to the alien registration office, they get a cash reward. Joining them after an encounter at the ‘breastaurant’ BooBies is Meow, a member of an alien species that looks and acts rather like a cat. Although they remain blissfully unaware of this, Dandy is the primary target of the villainous Gogol Empire. The main trio is constantly winding up in crazy situations and meeting strange new people, and the Gogol Empire’s Dr. Gel and his assistant Bea trail them at their peril. With so many generic anime adaptations out there, it often seems as if there are no original and unique anime series waiting to be discovered. 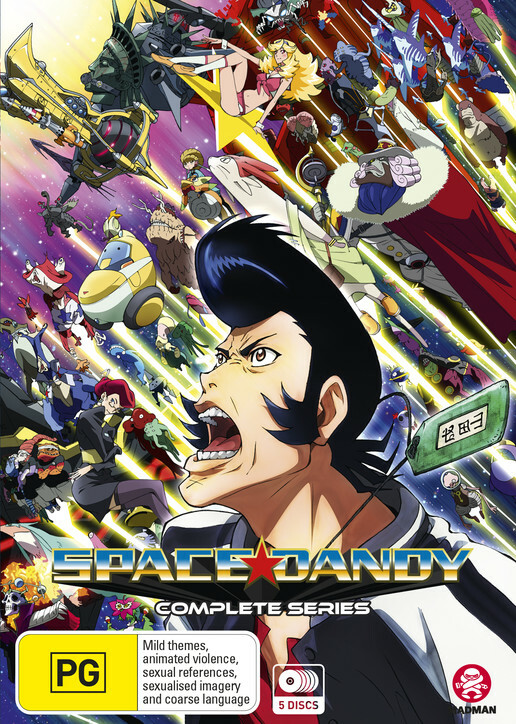 Space Dandy is one such series, if you have not already heard about it before. It was made out to be a big deal before, during and immediately after its 26-episode run. However, it seems to have largely dropped out of the public consciousness since then. More than two years later, it has been re-released in a box set, and its strong appeal remains exactly the same as it did in 2014. A simple way of describing it would be to call it Japan’s answer to Adventure Time, only bigger and in many ways better. Shinichiro Watanabe and his team of global talent have done something that seemed very unlikely and difficult to accomplish. They produced an anime series that feels like the crazy anime comedies produced in the ’90s, except with a fresh coat of colourful digital paint. The ’90s saw the production of some of the greatest and most endearing anime shows of all time. Since then, there has been a change in tone and characterisation in the world of anime and manga that seems like more of a regression than an evolution. Characters have become dumber and dumber, regurgitating the same unfunny nonsense that was supposed to pass for comedy at some point. 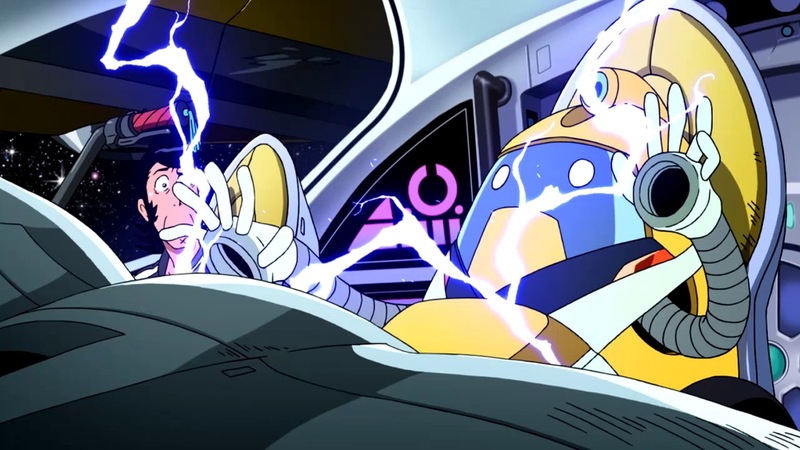 Characters in ’90s anime series often did come across as lacking in intelligence, but there was more to them than that, and there is so much more to the characters of Space Dandy. Dandy mostly just wants to spend time at BooBies and capture rare and unregistered aliens, but he also has a compassionate side and a surprising level of musical talent. Meow is a lazy cat reminiscent of modern teenagers who spend their time on social media in dark rooms, but he also secretly cares about the family he left behind to travel through space. QT ends up demonstrating the capacity to exceed his original programming in a couple of episodes. Furthermore, even Honey, a waitress at BooBies, turns out to be more than just a vehicle for fan-service. She is one of the most intelligent characters in the whole series, and although she initially only drops subtle hints about her level of knowledge, she gets her moment in the spotlight and reveals just how cool of a character she really is. Most anime series these days would just stop at the fan-service and degrade their female characters, but Space Dandy has some dignity. Make no mistake; that dignity is challenged on more than one occasion. However, that the creative team behind this series managed to capture the essence of early ’90s anime comedies, revive it and make it feel fresh demonstrates what anime could become if more production teams and animation studios took risks and let their imaginations run wild. This series is largely made up of episodic plots. Often, especially in the earlier episodes, characters find themselves in situations that they simply cannot escape from. When the end of each episode comes around, a ‘to be continued’ card will appear instead of any kind of explanation about how things might return to normal in the following episode. This lack of continuity does not in any way negatively impact on the series, however. What makes each episode special is the level of creativity poured into every one of them. One episode might have plants evolving into highly intelligent beings, while another might have the characters performing a musical. The ways in which the characters seemingly go past the point of no return is ridiculous yet hilarious. The creative team runs with the sci-fi setting and takes it to distant places, often destroying the universe or coming close to doing so in the process. Some of the plots may be reminiscent of those seen in North American sci-fi series, but it is hard to be disappointed about that when these episodes are just so fun to watch. In the second season, the plots seem to become more focused and more awesome. The underlying narrative of the Gogol Empire chasing Space Dandy eventually turns out to be a major plot point, and when the series finally abandons episodic stories in favour of a significant plot, it turns into one major spectacle that concludes the show in a most fitting way. The animation is outstanding. This show was produced by Bones, and involved talent from around the world. Fortunately, the people involved seem to have been given a high level of creative freedom, and the end result is a series of colourful and crazy adventures that remain more memorable than almost every other anime series from 2014 and the years since then. The action is fluid and engaging, and the unique designs of the aliens and the settings allows each episode to feel new and exciting. Fan-service is present, mostly in the form of objectifying shots set in BooBies, but is not taken to the extreme that many anime and manga series feature these days. Considering the fact that the English dub was produced in time for it to be broadcast on North American television at around the same time as it was shown on Japanese television, it turned out remarkably well. Every voice actor is perfectly cast. Ian Sinclair captures Dandy’s spirit brilliantly, and only good things can be said about each of the other voice actors. If there is one case where watching an anime series with FUNimation’s English dub is a recommended option, it is this one. With so many anime series out there featuring generic opening and ending songs, many of which are existing pop songs, it is refreshing to hear some outstanding pop songs during the opening and ending credits sequences in Space Dandy. The opening song “Viva Namida” and the ending song “Welcome to the X Dimension” are about as catchy and memorable as anime songs can get these days. The background music is surprisingly memorable as well, thanks to a variety of composers being brought in to produce music for this series. A few different musical styles are present, including techno music and surprisingly atmospheric pieces that enhance the scenes they accompany. Everything about the audio comes together perfectly, making the soundtrack CDs look appealing. This release includes a digital gallery, teaser trailers, DVD and Blu-ray trailers, English episode commentary for episodes 19 and 26 and the textless opening and ending songs as on-disc extras. The back of the box claims that an extra titled “Dandy Guy in Space: Part 02” is present, but unless this was intended to be one of the extras that are apparently exclusive to the Japanese home video releases, it seems to actually be referring to the second season itself. The textless animation sequences, which include the special textless ending animation sequences from season two, are far more colourful and interesting than the generic and dull sequences usually seen in modern anime. They are also subtitled, but oddly, the subtitles for all songs were removed from the episodes they come from. 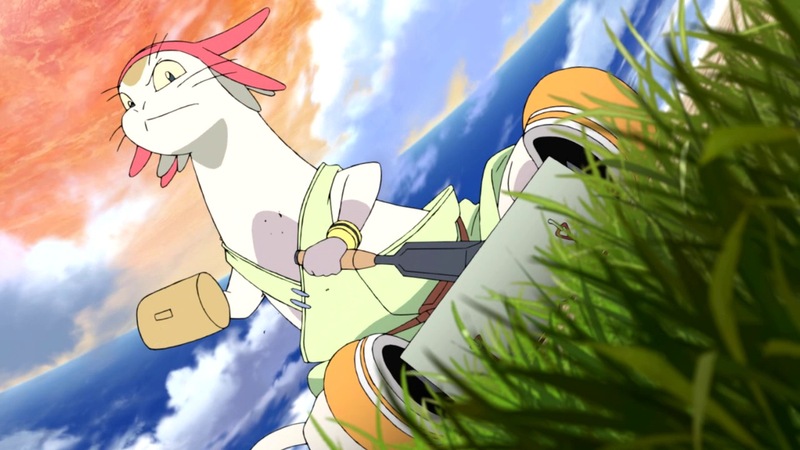 Space Dandy is a rare anime series in which almost everything goes right. The fan-service is unnecessary seeing as this show is already engaging when it is focused on other things; fortunately, there are many unique visuals and crazy stories that make this as entertaining as it is. If you love watching cool anime and fondly remember some hilarious anime comedies from the 1990s, this is a show for you. This is an extraordinarily fun series, with a cast full of entertaining characters and a variety of crazy and hilarious situations that they unintentionally get themselves into.